Supremely practical & so easy to use! 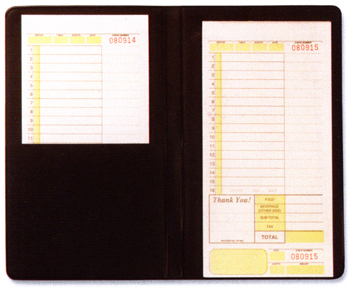 Ultra-convenient, inexpensive & serviceable Waitperson Pad Holder will hold your guest checks (not included). 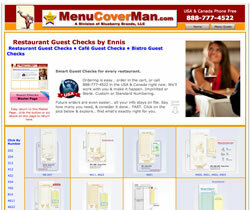 You can find a complete selection of perfect Ennis Restaurant Guest Checks here. Please note: The minimum order for the waitress pad holder is 12 pieces. 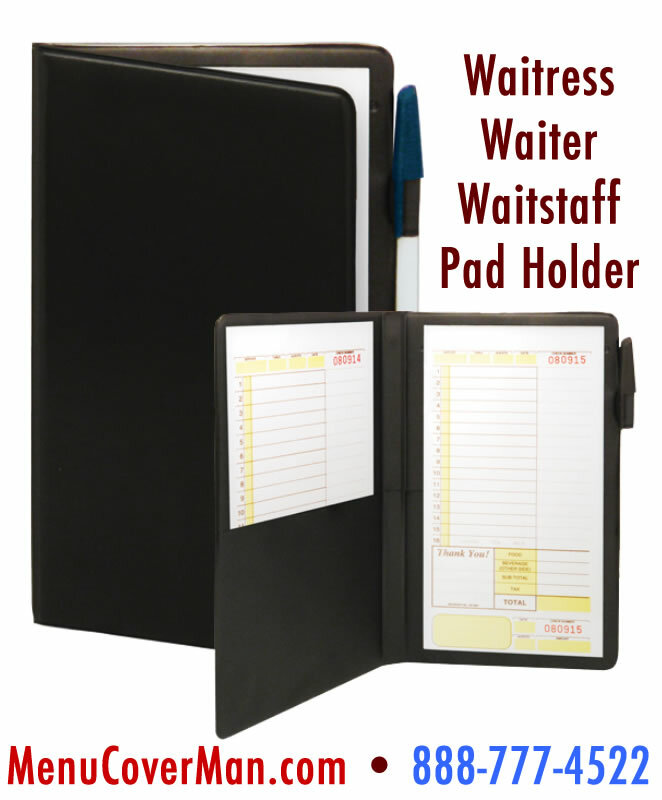 If you are ordering pad holders for yourself, personally- perhaps there are others in your restaurant who might be interested & would go in with you to meet the minimum. No harm in asking...! Available in black hardback only. 5" Wide x 9" Tall.